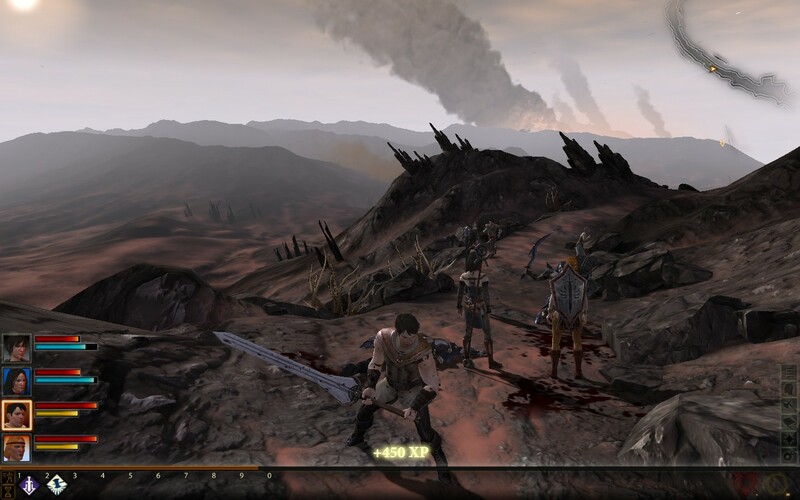 Game Background and Story: I barely played the first Dragon Age because I didn't like the forced linear nature of the game. I stopped right after meeting the witch which I assume was barely chapter 3. 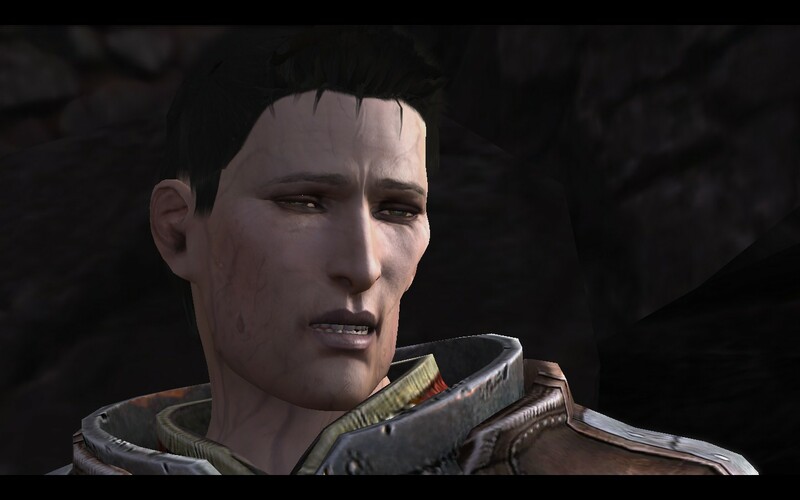 Dragon Age 2's story appears to be told by a nicely rendered dwarf who is telling the tale of a Champion (your character). It seems a woman has come to this dwarf to locate the Champion to save the world or something like that. The dwarf gives his tale which progresses into the first playable section of the game. Part 1 of the Demo: You get to select from three classes as well as the male/female version of each. I choose the female mage because fire and ice is always better than swords and stealth. Anyway, my character and some other dude are facing waves of undead hoard creatures and are holding their own against them. My mage had really powerful magic and the enemies posed no risk to allow people to get used to the interface and combat flow. Eventually my two people in the party are surrounded by sooo many guys when suddenly a dragon appears on a higher hill and swoops down. Part 2 of the Demo: For some reason at this point you get to customize your character's facial features, which are disabled in the demo. I went with the defaults since it wouldn't matter. Also interesting was the inventory system was also locked which made me collecting loot frivolous. Anyway, my mage character is shown fleeing with her family away from a city overrun with baddies (which I must mention look like altered forms of Scorpion from Mortal Kombat without the signature yellow clothing). The dialogue wheel from Mass Effect has been implemented and there appears to be at least three different types of responses which change a character's like/dislike meter as the game progresses. My mage lays down the law by saying we need to move to avoid being killed. No matter the choice, the party must engage hostiles. The family has another female mage and a male warrior as well as a mother who stays out of combat. I kill these enemies more difficulty this time since my female mage starts at level 1 and only knows an ice and mind blast spell. A male paladin bravely decides to defend your party before leaving his back nice and juicy for an enemy sword stab. I feel no sympathy since he portrays himself as a master warrior while making such a novice mistake with his hubris. Serves him right. I'm glad shortly after a battle with a miniboss mage and a charging boss, the guy is close to death. Also the sister is crushed by the boss for deciding to be a physical mage when her strength is probably -40 during a cutscene. After defeating the boss, the dragon from the earlier cutscene flies down and eats the enemies surrounding the party before transforming into the Witch I assume from the first game. She gets mega points because she is voiced by Kate Mulgrew, the actor who played Captain Janeway in Star Trek Voyager. Plus her character design and model is top-shelf with a menacing dragon helm and matching battle armor. 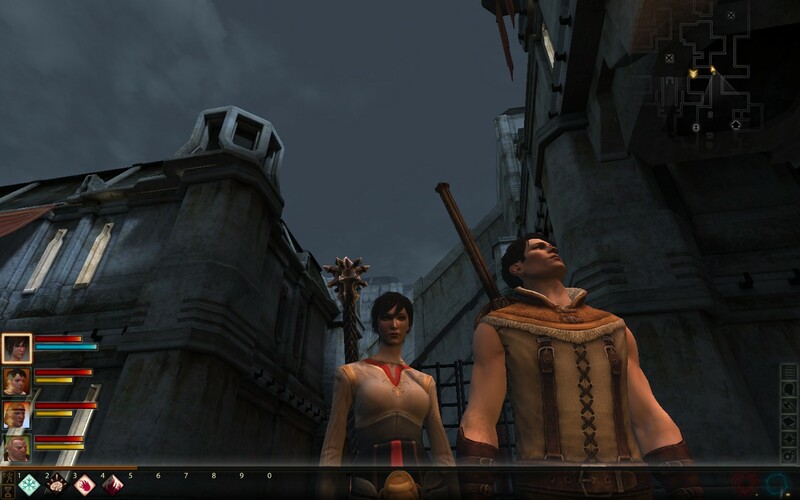 Part 3 of the Demo: Enter the final chapter of the demo which skips really far ahead to some "chain" city where you are supposed to protect some hot girl named Isabela (the only character's name I remembered during my 30 minute demo session). 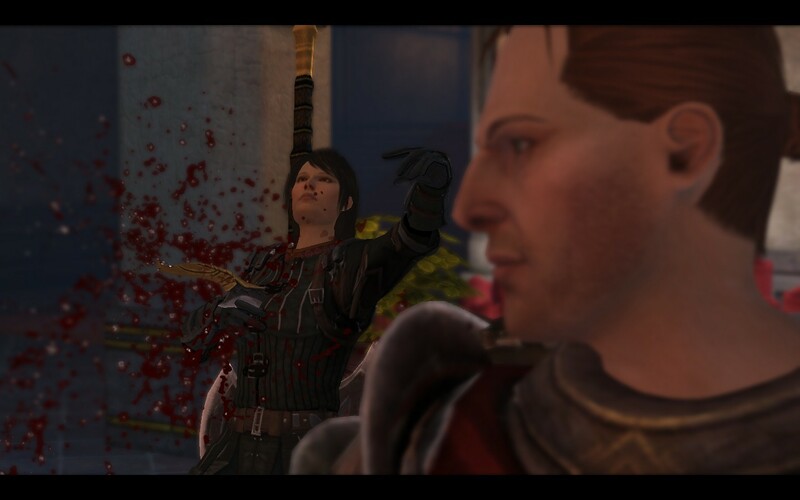 I swear she begins with blood on her dress and there is about the same amount at the end of the demo session. Her goal is to recover some artifact and confronts some dude. It's here I see the only action packed scene where she throws a dagger and kills one of the soldiers in the chest. I took a screenshot since I knew it was going to be good. 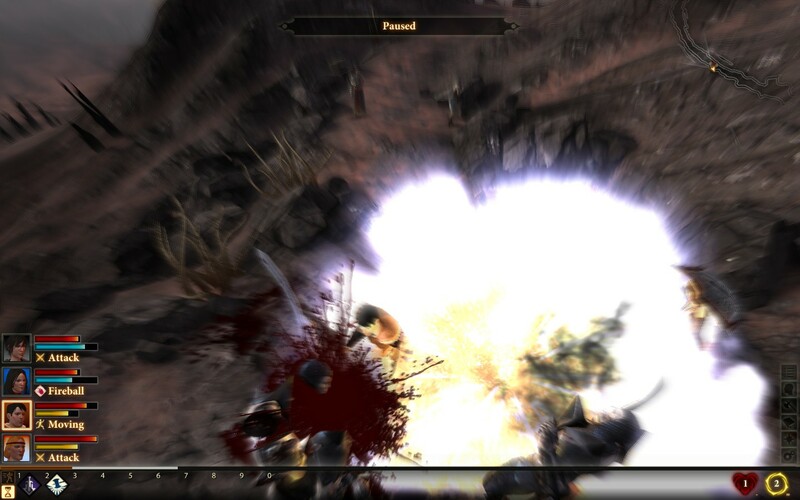 A fight obviously breaks out and I use a ton of flashy fire spells. My main mage character almost dies so I position her on a staircase for projectile advantage. At this point I decide to control the rogue dwarf in my party. He is the same guy who is telling the story and I was surprised by his shortness since I assumed he was human height from him sitting in the earlier chair. His special attacks seem better than the mage and warrior's so perhaps rogues are the most powerful class in the game. He has a stun arrow attack, area effect arrow rain spell and can do possibly useful backflip. Graphics: The graphics are much more improved. 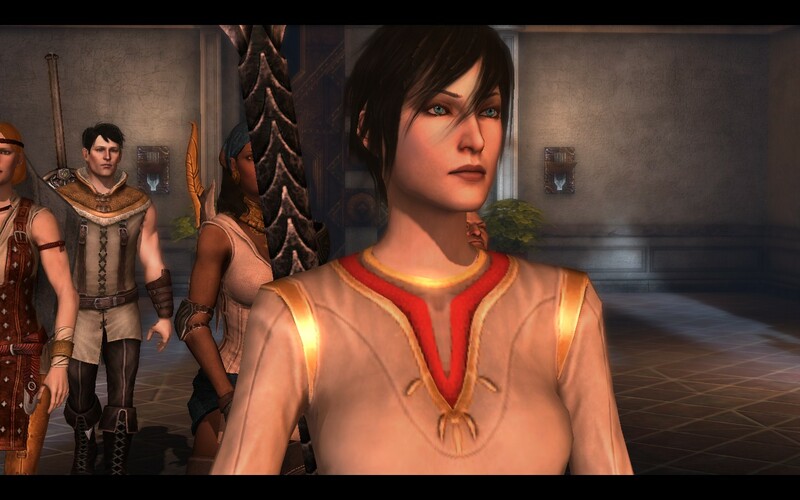 I have a feeling BioWare is using the Mass Effect 3 engine for Dragon Age 2. The faces show the best overall graphics boost even compared with ME2. Environments in the distance look a little bland and the screenshots I took in the game sometimes look out of focus due to a fireball effect making the screen fuzzy for effect. The game ran smoothly on my PC and the loading time was even shorter than the first game. Only downside was I could tell when BioWare was using pre-rendered cutscenes because the graphical fidelity was blurry and slightly low res. For PC, at least give the option to actually render the entire game. Sound I turned up my sound and loved the bass of the fireball explosions. Sword fights sounded like swords were tendering meat in the back of a slaughterhouse. Dialogue was on par with BioWare, although I really didn't care about any of the characters or what they were saying. 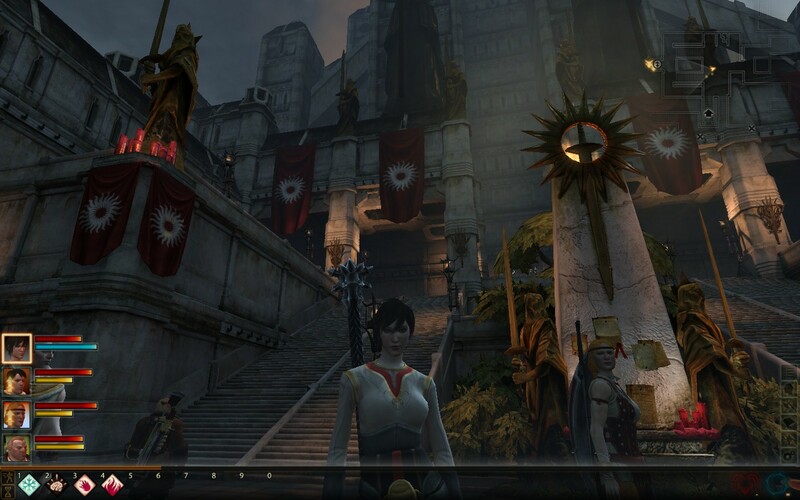 Overall Impressions: I'm still not impressed with Dragon Age 2 even after they changed the game from a RPG to a direct combat system. I have problems remembering to right click enemies for basic attacks while needing to left click an enemy for special attacks. Why can't there be an option so all attacking is done by the same button? 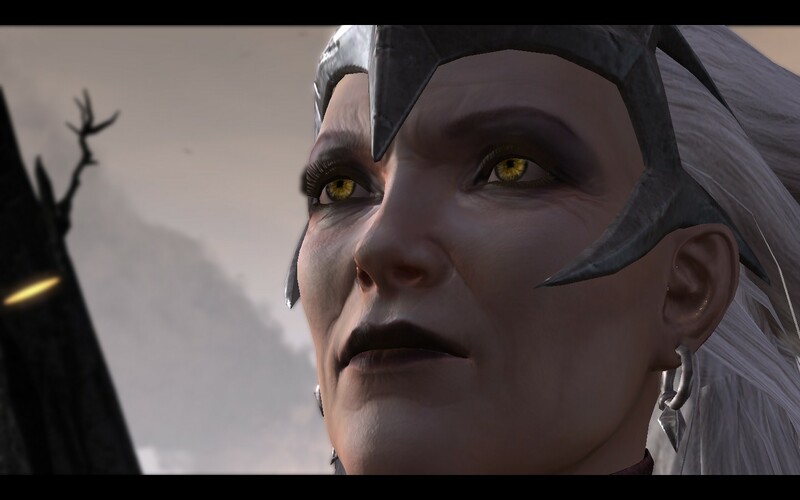 The demo didn't provide me with enough backstory so I really couldn't feel an emotional connection except for the Dragon Witch and Isabela who were both awesome. 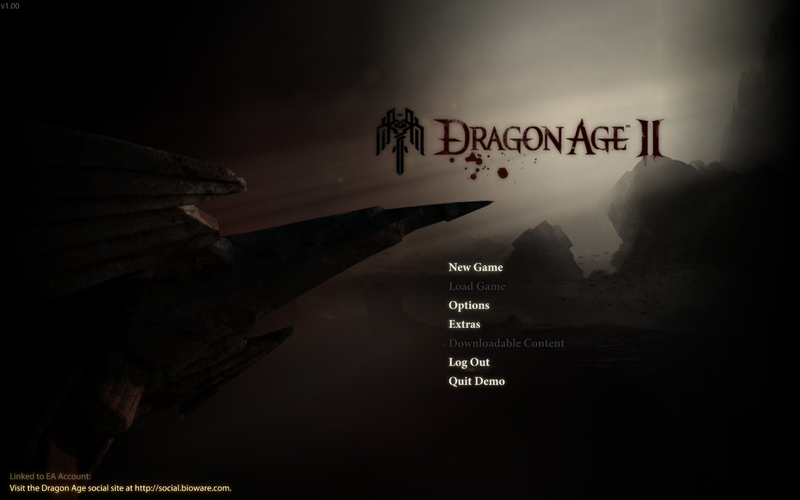 I'll say I enjoyed the demo but Dragon Age 2 played similarly to what I assume Dungeon Siege 3 will play. I will save my money and will guarantee I will be playing Mass Effect 3 instead when it comes out later this year around October/November/December.